Have you ever had a customer who wants to do laps in the pool? Or snorkel customers who don’t like to use a traditional mask/snorkel? Here’s your answer – a Full Face Snorkel Mask. 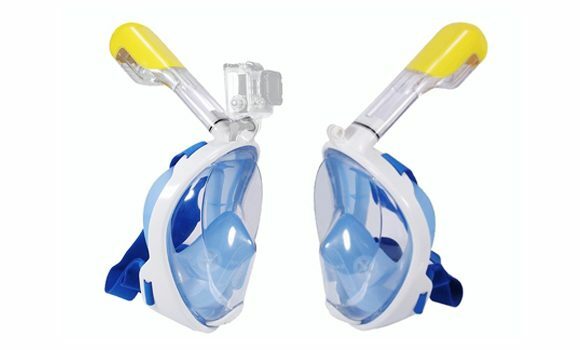 Equipped with a GoPro Mount on top, this is a great idea for anyone who wants to try snorkelling without worrying about only breathing through their mouth or even getting a sore jaw from holding a snorkel all day! With every breath in, the mask stays perfectly clear as you have a constant run of fresh air over the viewing area. Every breath out will leave through the pressure relief valve. 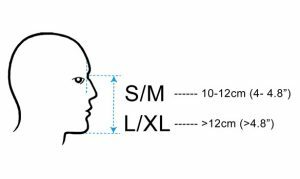 Users will not be able to duck-dive with this mask, as the air volume in the mask cannot be equalized.